"The ladies take centre stage on the fourth day with a mouth-watering edition of the Coronation Stakes the standout race. Fresh from her impressive win the Irish 1,000 Guineas, Alpha Centauri ([5.7]) will look to follow in the hoofprints of Winter who landed this Group 1 having tasted classic glory at the Curragh in 2017." As is normally the case, Royal Ascot gets under way with a high-class renewal of the Queen Anne Stakes, which famously was the race that Frankel ripped apart in such devastating fashion in 2012. While there is no Frankel in this year's line-up, the 2018 Queen Anne promises to be a compelling edition. Sitting at the top of the market is the Aidan O'Brien-trained Rhododendron at [4.3] who regained the winning thread when coming out on the right side of a thrilling battle with Lightning Spear ([10.5]) in the Group 1 Lockinge Stakes at Newbury last time out. The Godolphin operation could have a live contender for the 1m race in the shape of Benbatl ([7.2]) who capped a profitable campaign in Dubai with an impressive victory in the Dubai Turf. The King Stand Stakes promises to be one of the races of the week with Royal Ascot favourite Lady Aurelia ([4.6]) and the deeply talented Battaash ([3.6]) set to lock horns. It will be interesting to see what Aidan O'Brien throws at the race with the likes of Merchant Navy (24), Washington DC (21) and Sioux Nation (40) just some of the Coolmore horses entered for the Group 1 sprint. The highlight of the second day is the Prince of Wales Stakes, won last year in typical gritty style by Highland Reel. This year the star of the show is Cracksman ([2.1]), although he didn't impress many people last time out when struggling with the contours of Epsom when taking the Group 1 Coronation Cup. 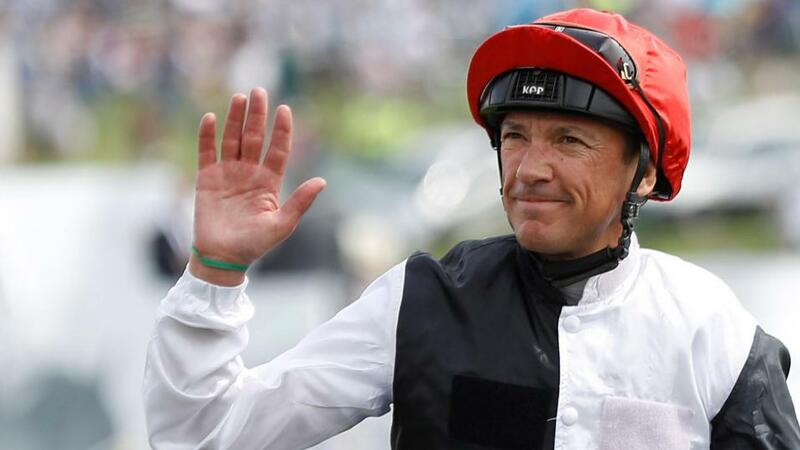 If one can forgive that performance then Cracksman's current price could turn out to be one of the value bets of the week as a quick look through the rest of his potential rivals would not have John Gosden and Frankie Dettori trembling with fear. Poets Word ([6.4]), Lancaster Bomber ([10.5]) and Cliffs of Moher ([18.5]) currently sit behind Cracksman in the betting and on all known form it would take a massive leap forward from that trio - or Cracksman to throw in a disappointing performance - for the son of Frankel not to add to his Group 1 haul. The Ascot Gold Cup is the marquee race of the middle day of the Royal meeting and is shaping up to be a stellar renewal of the Group 1 staying contest. Despite last year's winner Big Orange missing out on the chance to defend his crown, a raft of top-class horses are set to do battle. Order of St George ([3.1]) heads the betting and has done nothing wrong in the lead up to Ascot, following the well-worn path of Aidan O'Brien stayers by winning the Vintage Crop and Saval Beg Stakes in the build-up to Ascot. The son of Galileo was arguably unlucky to go down to Big Orange last year and one would think that Betfair ambassador Ryan Moore will be a little handier this time around. Facing Order of St George are a couple of top-class stayers in their own right. Stradivarius ([3.5]), Vazirabad ([8.6]) and Torcedor ([11.5]) are just some of the entries that will ensure that the Aidan O'Brien-trained son of Galileo will not have it all his own way. The ladies take centre stage on the fourth day with a mouth-watering edition of the Coronation Stakes the standout race. Fresh from her impressive win the Irish 1,000 Guineas, Alpha Centauri ([5.7]) will look to follow in the hoofprints of Winter who landed this Group 1 having tasted classic glory at the Curragh in 2017. The daughter of Mastercraftsman will not have it all her own way as Clemmie (6.2) will look to kick-start her three-year-old campaign having had a truncated start to the season. Surprise Newmarket Guineas winner Billesdon Brook ([7.2]) will be looking to back up her impressive classic victory while the French based Wind Chimes ([10.5]) would add another layer of intrigue should she line up as she has looked a filly of huge talent based on limited racecourse experience. The final day of Royal Ascot ends with a bang with some of the fastest horses in the world set to burn up the Ascot turf in the Diamond Jubilee Stakes. Harry Angel ([3.8]) sits atop the market but will have some serious competition in the shape of Australian import Merchant Navy (5.4) who impressed a lot of seasoned observers when taking the Greenland Stakes on his Irish debut for Aidan O'Brien. The Group 1 sprint has been a happy hunting ground for Australia (most famously with Black Caviar) and they look to have a serious candidate for honours in the shape of Redkirk Warrior ([7.4]). With a number of puzzling handicaps to figure out, Royal Ascot 2018 promises to be another unforgettable week of racing. Not long to go!